Well, it was going to happen eventually and Luca Tudesco has pulled it off. 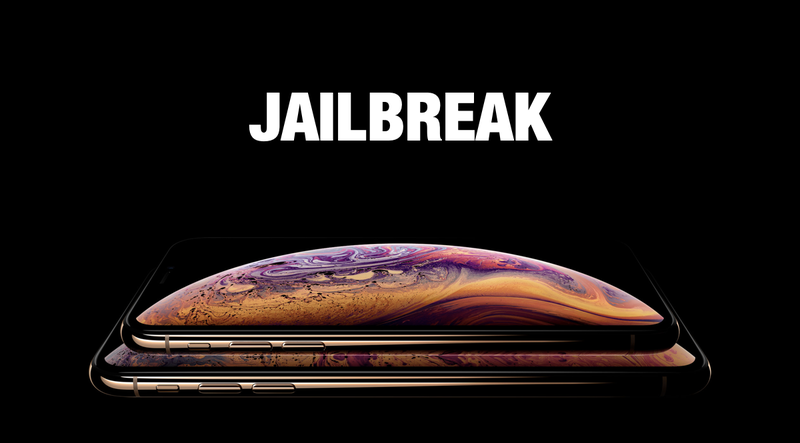 iPhone XS Max has been jailbroken on iOS 12. The iPhone XS Max has been available for a while now and it was only a moment of time when someone from the jailbreak community would casually walk into the public domain and announce a big win. Though the Pangu team did announce that they have successfully jailbroken iOS 12, but now famed developer Luca Tudesco has chimed in and revealed that he has pulled off the same feat but on the iPhone XS Max, boasting Apple’s latest chip, the A12 Bionic. 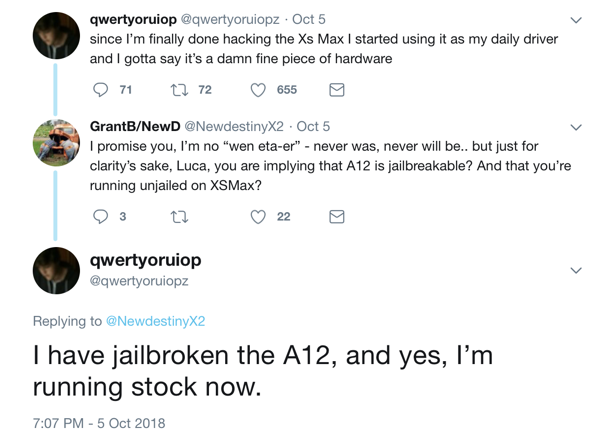 Though that sounds like an epic revelation for jailbreak enthusiasts, and it actually is, but keep in mind that this particular jailbreak might not ever see itself released into the hands of the public. The good news is that the jailbreak is possible on iOS 12, and those extremely eager to liberate their devices should stick around with iOS 12 and avoid every single update Apple releases in due course. Apart from the fact that the iPhone XS Max has been jailbroken, Luca Tudesco also said that the iPhone XS Max is a fine piece of hardware and is currently using the smartphone as a daily driver. That is a lot of praise for Apple’s latest smartphone on its own, which is only a good thing considering the amount of flak the device has gotten lately by the media over a number of issues including chargegate, beautygate and more. Basically, all of these are issues which can easily be fixed by a software update. The charging issue has been already taken care of in iOS 12.1 beta, but it will be a while before the update makes it into the hands of the consumer. It remains to be seen at this point whether or not someone would step in and replicate the jailbreak for the public. But given how things are right now, I wouldn’t quite recommend holding your breath for it right now. The only thing I can suggest is that users stick with iOS 12 and avoid any future releases of the software as they arrive.